Using voice commands can be very useful when you don’t have a good internet connection, such as when driving. 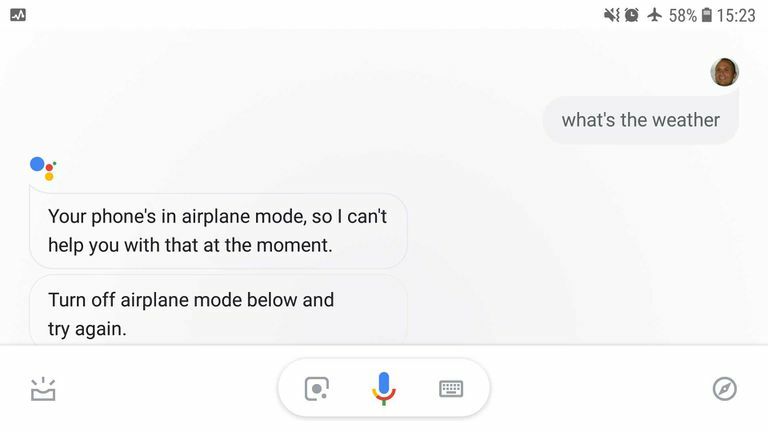 For this reason, it’s important to understand what the Google Assistant can and can't do offline, and how to use "Ok Google" offline to get it to do more. Saying "Ok Google" while offline should still launch the Google Assistant. However, there are a number of other issues you may encounter. Firstly, voice recognition may be less accurate while offline, and the Google Assistant may be unable to access the services you’re asking for. To fix the second issue, you need to download any relevant data in advance. For example, download any music you might want to listen to and the maps of any areas you might want to navigate. Accessing information like the latest news or weather isn't possible without an internet connection. The speech recognition of the Google Assistant can be extremely inaccurate when used offline, though you might be lucky if you have an accent Google Assistant finds particularly easy. Unfortunately, if you experience this problem, there doesn’t seem to be any way to fix it at the moment. Offline navigation is greatly improved if you download the maps of any areas you will be traveling through in advance. Here's how to do so. Open Google Maps, tap the hamburger menu > Offline maps. Tap SELECT YOUR OWN MAP. Zoom and pan until the area you require is within the blue box, then tap DOWNLOAD. You will be taken back to the Offline maps screen where you'll see your offline maps with some status information. The map will download and automatically update when required. Say, for example, “Hey Google, Navigate to Home” and Google Maps should begin navigation, provided you downloaded the maps required to get you from where you are to your saved home location. Unfortunately, you can’t ask Google to take you anywhere else. If you type the address into Google Maps, it will work; if you ask for a contact, Google Assistant will retrieve the address. Google Assistant won't place the address into maps and start navigation unless it has an internet connection. Getting the Google Assistant to play music while offline is easy. First, make sure your preferred music app is set up in Google Assistant. Open Google Assistant, tap your profile image, then tap Settings. Tap the Services tab, then tap Music. Tap your preferred music app. Close the Google Assistant settings. Ensure you've downloaded some songs in your music app or transferred some mp3 files to your Android device. Say, “Hey Google, play music.” If you’re offline, it will play songs stored on your device.